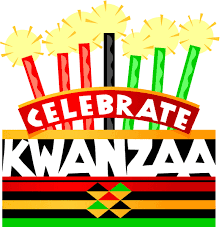 Join us for our Community Kwanzaa Celebration. Free and Open to the Public. Pot Luck - Bring a dish to celebrate your culture (no pork please). Sponsored by Multicultural Wellness Center, Broader Horizons, New Horizons, OurStory Edutainment, WEC Productions, Truth B Told, Black Heritage Festival Committee, Brown Girls Entertainment.